Burns Park is every families dream neighborhood to live in. Family-friendly activities like climbing the hills, hosting a picnic at the local park, and the excellent schools make the area a highly desirable location. With its artisan homes, beautiful lawns, high ceilings and classic hardwood floors, Burns Park real estate offers some of the best options for families and young professionals in the area. 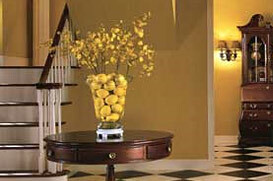 On the Northeast end you have Ives Woods, a luxury neighborhood offering lavish homes. Spacious living areas and cozy breakfast nooks provide you with great places to kick back and relax. Luxurious master suites give you everything you’ve dreamed of. However, one of the greatest features of Burns Park real estate is the selection of affordable homes. Varying from price to price, you’ll be sure to find the home of your dreams. Being built around a historical park, most families with little children are attracted to this location. Here kids can play and have fun, while parents have peace of mind over the local safety features the community presents. Most families and friends have grown up together and live near each other. Burns Park is near a very nice community college that goes by the name of Washtenaw. Washtenaw Community college has 280 apartments right across the street where students can live to gain that independence. Also, the Glencoe Hills complex which has 584 units. Growing up with one another, making that transition from elementary school to college is a safe experience residence of the Burns Park areas children hold.